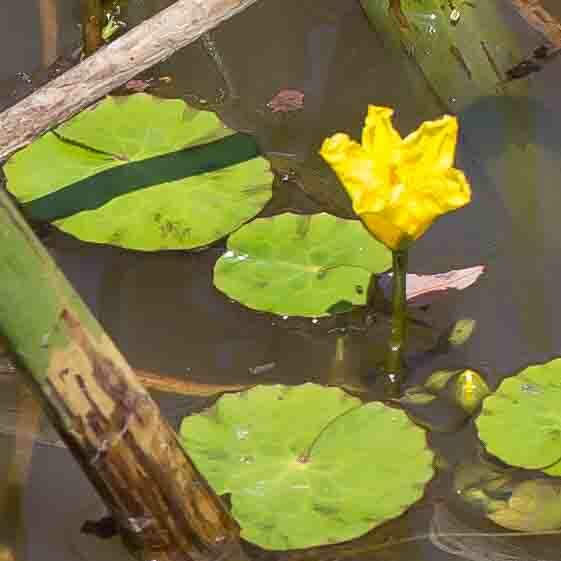 This water lily has fringed petals about 3–4 cm across. The leaves may be as much as 10 cm in diameter and are “peltate”, i.e. having the stem attached to the undersurface of the leaf. 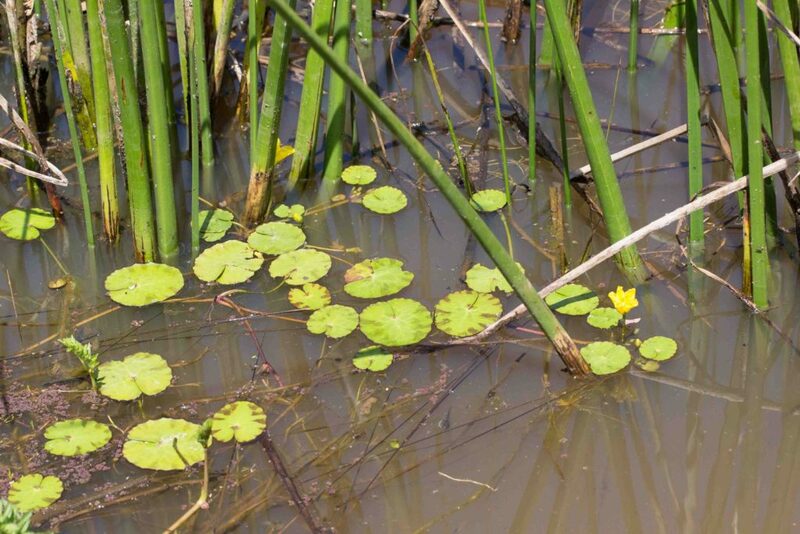 It is generally an escapee from cultivation and potentially invasive.